The Earth speaks to us in many ways through the spirits of her various elements. 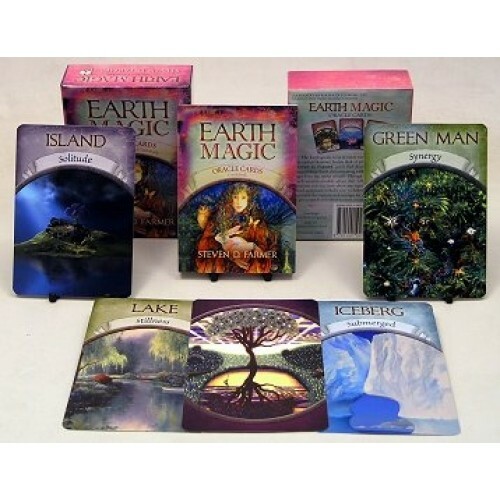 In this deck of 48 oracle cards created by Steven D. Farmer, you’ll find descriptions and images of many of these Earth elements along with clear and concise messages from the spirits of each. Through the use of these cards, you’ll uncover sensible advice that will provide guidance for questions you may have about any aspect of your life. The enclosed guidebook includes easy-to-follow instructions as well as expanded descriptions and messages for each card, allowing you to give yourself and others accurate, meaningful readings. Boxed deck. Cards measure 14 x 10 cm and includes 48 full colour cards and an instruction booklet.